The once-prestigious Ilikai hotel, an icon in its 1960s heyday, has become the scene of animosity between developer Brian Anderson and many who have worked and lived at the Ilikai for decades. Anderson's company, Anekona LLC, is redeveloping the property in an effort to reposition the Ilikai into an upscale condominium hotel. 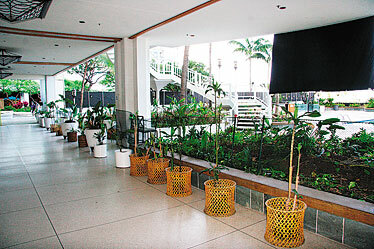 Though Anekona's top-to-bottom renovation project, which is estimated to cost at least $60 million, was initially welcomed by the Ilikai community, those involved in the property are frustrated that little has been done more than a year later to "bring the Ilikai back to its former glory" -- a promise Anderson made when he bought the hotel for $218 million in July 2006. Meanwhile, eRealty Cos., which bought the 360-room Yacht Harbor Tower from Anekona for more than $100 million, is undergoing a $40 million renovation. The tower is expected to reopen by next July as a luxury hotel. Joe Sikorski stands near an unkempt common area of the small swimming pool on the Diamond Head end of the Ilikai hotel. It is the only pool open to hotel guests and residents with the closure, left, of the central pool. The redevelopment of the Ilikai, a 1960s Waikiki icon made famous on the television show "Hawaii Five-O," is proving painful for many tenants, guests and residents, who say they have been forced to watch a once-prestigious hotel lose its luster. 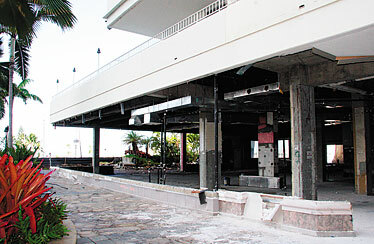 Today, the deteriorating middle-aged property is the scene of animosity between the developer, Brian Anderson, and many who have worked and lived at the Ilikai for decades. 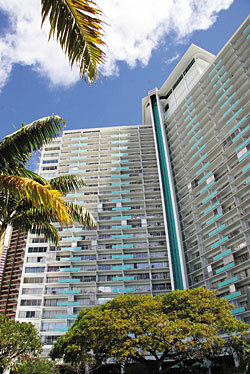 Anderson's company, Anekona LLC, bought the property in July 2006 for $218 million with ambitious plans to reposition the Ilikai into an upscale condominium hotel. To make the transaction feasible, Anderson sold the 360-room Yacht Harbor Tower, along with the ballroom and central swimming pool, to San Diego-based eRealty Cos. for more than $100 million. The central pool, owned by eRealty, is closed for renovations. Anekona's top-to-bottom renovation project, now expected to cost at least $60 million, was initially welcomed by most in the Ilikai community. But more than a year later many are frustrated that little has been done to "bring the Ilikai back to its former glory" -- a promise Anderson made when he bought the hotel, which opened in 1964. Anekona representatives said the company is purposely moving slowly on design and renovation plans to ensure the success of the project. Room renovations are set to begin this fall, while construction of the common areas is scheduled for next fall if owners approve the plans. At least some residents question where Anekona will get the money to redevelop and earn a return on its investment. Anderson says their concerns are misplaced. "A lot of owners in the building, they're just disgruntled because they don't see things happening, but the process in this town is very long," said Anderson, adding that he has held more than a half-dozen meetings to address owners' concerns and incorporate their input into the redevelopment. "Things don't happen overnight." Canoes restaurant and bar at the Ilikai recently shut down. In the 2006 transaction, Anekona bought 343 of the Ilikai's 1,009 rooms, most of which are already privately owned condominiums, in addition to the commercial areas and parking garage. » Condominium owners who set up an "unofficial" Web site of Ilikai owners at www.ilikaiowners.com, not affiliated with the homeowners association. » Vendors who weren't paid for at least four to six months earlier this year when Anekona's cash flow dried up, following the sale of its lender. 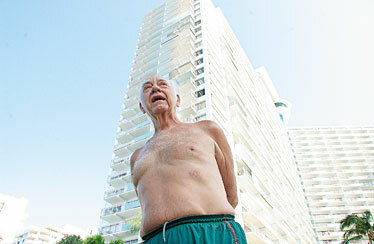 » Tenants who were moved or displaced by the redevelopment project. Anekona bought out the leases of some of the tenants in the Yacht Harbor Tower as part of the sales agreement with eRealty. » Some unhappy guests over the past year have posted comments at www.tripadvisor.com. The company has sold the first phase, comprising 167 condominiums totaling about $80 million in sales, and next year plans to launch the second phase, another 176 high-end units estimated at $115 million slated to be part of a "boutique hotel" on the Ilikai's top four floors. 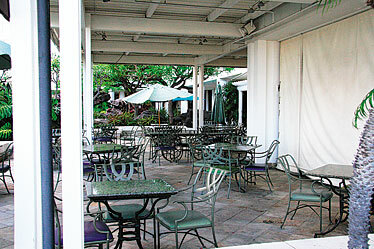 However, some residents and guests are upset by the worsening condition of the property since the acquisition, including broken elevators, the closure of amenities including Canoes restaurant and bar, and the unkempt common areas of the lobby, courtyard and small swimming pool on the Diamond Head end of the hotel. Other items, including the lights of the outside elevator leading to Sarento's Top of the "I" restaurant, also remains broken. Harry and Elizabeth Leong of San Jose, Calif., distant relatives of the Ilikai's original developer, Chinn Ho, were surprised to see much of the hotel's amenities closed when they returned to the hotel in October, following a recent visit in April. "It's very disruptive, there's no place to eat," Elizabeth Leong said. "If this gets more in disarray we'll find somewhere else to go." 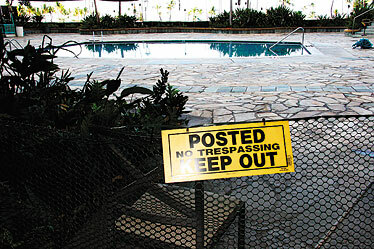 eRealty also has shut down the central swimming pool and ballroom for renovations, causing confusion for guests and residents unaware that those amenities no longer belong to the Ilikai. The entry near the ballrooms has dead plants. Moreover, the division of the property has caused hardships for some apartment owners who say their parking agreements and storage units were canceled by Anekona. "The biggest mistake was made to split up the property," said resident Hans Puhse, administrator of a Web site, www.ilikaiowners.com, dedicated to concerned apartment owners. "It was a well-functioning hotel. Now there's an endless list of problems." Most residents are willing to support the redevelopment, but haven't seen improvements over the past year, he said. "Everybody has the same interest and we're all pulling at the same end of the rope," Puhse said. "The problem is credibility and trustworthiness. To let it get to a situation like this is an absolute shame to Waikiki." Some owners also resent Anekona's proposal to lease a significant portion of the common areas from the homeowners' association as well as change association bylaws to give Anekona more control over the use of the property. "They're trying to shove (the renovations) down our throats," said Ramona Chang, a California resident who lives part time at the Ilikai. "They have a good business model in that they know how to divide and conquer. The way they did things were not very nice, not local style." Christopher Shea Goodwin, attorney for Owners of the Ilikai Apartment Building Inc., comprising 1,509 units, said the association as a group isn't involved in any dispute or affiliated with the Web site. Other issues frustrating residents include an agreement between Anekona and the Bikram Yoga College of India, which has made the Ilikai its official training location at the site of the former Ultrazone, an area Anekona eventually plans to turn into a new spa and fitness center. The arrangement has flooded the Ilikai with some 300 students who spend nine weeks at a time sharing dorm-style rooms and using already strained amenities, a stark contrast to Anderson's vision of creating an upscale hotel, according to residents. Unite Here! Local 5, the hotel workers' union, also has been at odds with Anekona over some of the agreements in a contract ratified by workers last year. The union represents about 100 workers at the hotel, which laid off nearly 200 employees over the past year. What's been closed at the Ilikai over the past year. » Canoes restaurant and bar, except for some bar service from 5 p.m. to 9 p.m.
» Part of the main courtyard for lounging. » Main swimming pool and ballroom, now owned by eRealty. » eRealty's 360-room Yacht Harbor Tower, which is undergoing a $40 million renovation. » Tanaka of Tokyo, the wedding chapel and other businesses in the Yacht Harbor Tower. » Ultrazone in the Ilikai's Y-shaped tower. At least part of Anekona's troubles have stemmed from cash-flow problems that emerged earlier this year when its lender, Fremont Investment & Loan, was acquired by iStar Financial, following the collapse of the subprime market. The transition to the new lender slowed down loan withdrawals, which in turn delayed payments to some of the Ilikai's 200 to 300 vendors. Anekona wouldn't say how many vendors were affected over four to six months. "Any small business, if you're not paid on a timely basis, it's going to hurt the cash flow," said a vendor owed more than $1,000 during the summer who asked not to be identified. "It inhibits my ability to pay my bills on time." Anekona also has owed as much as $600,000 in maintenance fees during the transition to its new lender, which has since been paid, Anderson said. Anderson refers to the "financial hiccup" as normal for a business that has seen rapid growth over the past few years. Most vendors have received payment or are on a payment plan, Anekona said. "At any given time a local startup company has cash-flow issues -- that's life, that's how you grow," he said. "You have a locally owned company trying to compete with a lot of national people on this scale. We're trying to fight for survival every day to make it in this competitive world." Meanwhile, eRealty is spending about $40 million to convert the Yacht Harbor Tower into a luxury hotel with 350 rooms that will be priced at more than $300 per night. The tower has undergone major interior demolition work over the past few months with rebuilding set to continue until the hotel's opening next July, said principal Ed Bushor. The operator has yet to be announced. As a condition of the Yacht Harbor Tower's sale, Anderson was responsible for removing its tenants, including Tanaka of Tokyo, Angel Chapel By the Sea, Shell Vacations, Massage Corner and Dollar Rent a Car. The former Angel Chapel By the Sea has been gutted, while the nearby central pool area is unkempt with no apparent work going on..
Tanaka of Tokyo and Angel Chapel By the Sea subsequently sued Anekona and eRealty last year after losing significant money when the tower was closed for renovations. Both companies initially refused Anderson's buyout offer, which they described as "ridiculous." Tanaka of Tokyo closed Sept. 30 after 14 years following the settlement of its lawsuit, while the former Angel Chapel By the Sea shut down in September 2006 after losing all of its business and spending $100,000 on attorney's fees. "It's like a nightmare there," said Rev. Beverly Bates, who had operated the $2 million marble chapel at the Ilikai for 15 years and had seven years remaining on her lease when Anekona enclosed the chapel area with plywood. "He's successfully absolutely plundered what was one of our well-known landmarks." Tanaka of Tokyo, which had two years remaining on its lease, also was barricaded after refusing to vacate, said Richard Tanaka, Tanaka of Tokyo chairman and CEO. "The way they were trying to get us to vacate was to make it uncomfortable for us to operate there and make it uncomfortable for our customers," he said. "We're relieved to be gone." Yukiko Hasegawa, general manager of the Wedding Pledge, a wedding gown shop at the Ilikai tower, said she is now focusing on local customers after losing her primary customer base from Japan. "A lot of Japan travel agents don't want to send their customers here because this hotel doesn't have a restaurant and they're worried about customer service," said Hasegawa, whose lease at the Ilikai runs until 2009. "They asked us to move, but I don't want to." Despite the growing pains, Anderson said his responsibility is to ensure the successful rebirth of the property, which will continue to be a Hawaiian landmark for generations to come. "There's a sense of responsibility being one of the icons in Waikiki -- I don't want to screw it up," he said. 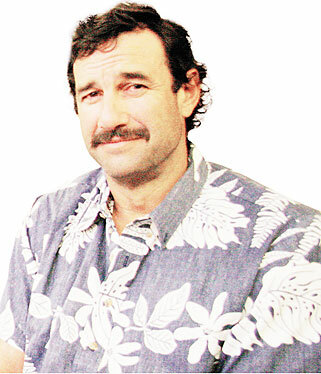 » Brian Anderson (above) a Big Island developer, whose company, Anekona LLC, purchased the Ilikai hotel in July 2006 for $218 million with ambitious plans to reposition the hotel after a $60 million redevelopment project. » eRealty Cos. of San Diego bought the 360-room Yacht Harbor Tower from Anekona for more than $100 million in a simultaneous transaction.